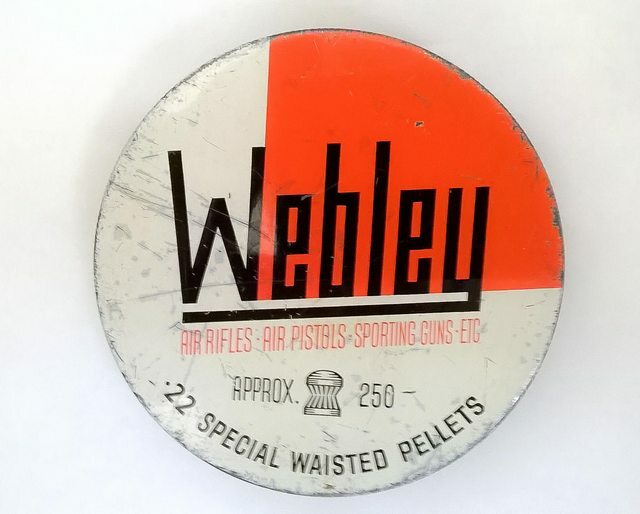 Although not as exotic as some of the other finds at the recent Kempton Park Arms Fair, I finally managed to source an example of this 1970s .22 Webley pellet tin produced to hold 250 rather than the normal quantity of 500. Iv'e lost count of the many hundreds of these tins Iv'e trawled through at various fairs in search of this particular variant. I'm now on the hunt for another similar tin seen on the right in this photo and belonging to another BBS member which is almost mythical, but they are out there somewhere somewhere if only I can find out where. 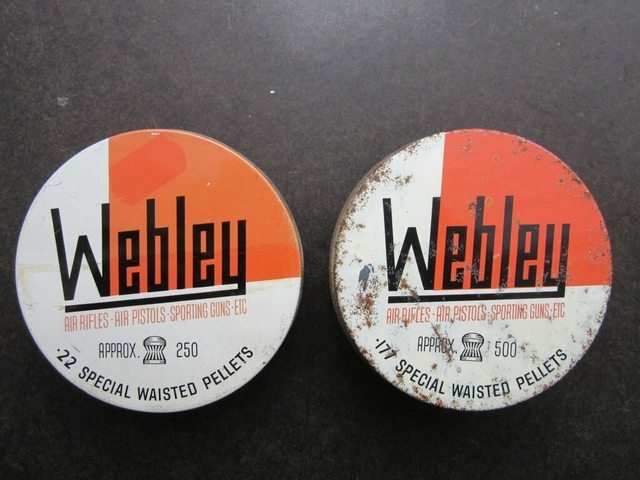 This tin also ignores the normal Webley convention of orange for .22 and green for .177 only seen on the also extremely rare miniature tin of 250 .177 pellets. So, please have a look through your hidden away stocks of old pellet tins and see if you may have one these tins you may be prepared to part with. 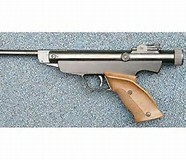 Hi Brian a great find and good luck with your other tin search. I kept many tins (various) from the late 70s and most of the 80s. They be in my mums house somewhere. I really must dig them out.